It was a Saturday afternoon. I was caught up with homework, had sometime to myself, and had no idea what I wanted to watch. 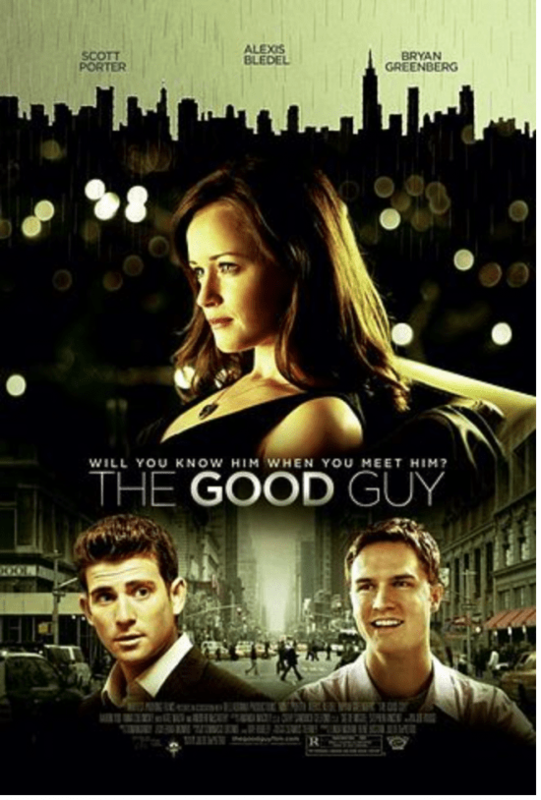 Surfing through Netflix, I came across this movie and it piqued my interest because I love Rory Gilmore! I haven’t watched all of her work, but of the ones I did I like her and the roles she plays. But I passed. Yep. The first time I crossed paths with this movie, I decided to skip it. I was unsure of the plot line. I mean, it’s about this city gal who falls in love this hotshot and finds that love is a risky game. I wasn’t sure if I wanted to watch a movie like that. I’m not the real chick flick type of genre so as much as I love Bledel, I passed it once. And then again. And even a third time, before I gave it a shot, four months later. As mentioned above, Beth Vest is a city girl who falls in love Wall Street hot shot, Tommy Fielding, who most certainly a smooth talker and they have been dating for a while. Tommy’s confident, a touch bit arrogant, and easy on the eyes. Enter Tommy’s co-worker Daniel Seaver. Seaver is the resident tech guy in Fielding’s office and when of the their team members leave, Fielding is hard pressed to find a replacement and decides to take Seaver under his wing and show him how the game is played. Things get interesting when Seaver’s “training” has him crossing paths with Beth Vest, not realizing she’s dating his mentor. The plot and how it thickens. So. It is your typical “how do you know it’s love” type of plot line, but I liked it. What I really liked about it is how the story is told. I really liked the way DePietro plays it. I don’t want to give it away, but I can’t help it so … SPOILER ALERT It’s done in the way of the unreliable narrator. And it’s done so well I had a huge grin on my face when the story reaches that point where the house of cards come tumbling down. SPOILER ALERT DONE The screen play is well written and paces the story nicely. The characters and their role. Bledel did a wonderful job as Beth Vest. She really fit into the role of the reserved city girl who is semi-confident and who lets her man take the lead. She’s a good complement to Tommy’s arrogance, which Scott Porter played just as well as Beldel. The chemistry between these two was what you would expect in a story like this. Some would say that Vest’s character was naive, and I would agree except that I think it’s not so much as naivety as it is trusting. Porter did a good job showcasing Tommy’s confidence (coughs arrogance) and smooth talking. And I have to say, Bryan Greenberg added just the right balance as Daniel Seaver. The dynamics among these three really did a good job telling the story. I have to say the camera work was straightforward and works beautifully in a story like this. I don’t like when there are shots that drag a little too long or distracts from the plot line, but that’s not the case here. I also like how they the started the story, deciding to do a clip of the present and flashback to the events that lead it to that point. I know that’s more screenwriting and plot than it is camera work, but the opening shot is what made me watch to the end. It was shot of a rainy night and Tommy is buzzing at Beth’s door looking defeated. Perfect hook. A job well done. I don’t think I’d add this to my library. While I enjoyed the movie and I would probably watch it a second time, I don’t think I could justify buying it. I just wouldn’t watch it fast enough to get a return on my investment within a year. I would recommend it to friends, though. If you like happy endings and love by chance, give it a shot. It’s a good movie to bring as one of three to a Girl’s Night.